Editorial: What Is a Refugee Anyway? Wikipedia would have you believe this is an easy question to answer: "A refugee is a person who is outside their home country because they have suffered (or feared) persecution on account of race, religion, nationality, political opinion, or because they are a member of a persecuted social category of persons or because they are fleeing a war." As it turns out though WAR has a lot of different definitions, and none of them are simplistic. Like a lot of hip-hop heads I became familiar with the term "refugee" in the 1990's thanks to the the rise in popularity of The Fugees, a group whose name was taken from a derogatory slang reference to Haitian refugees. 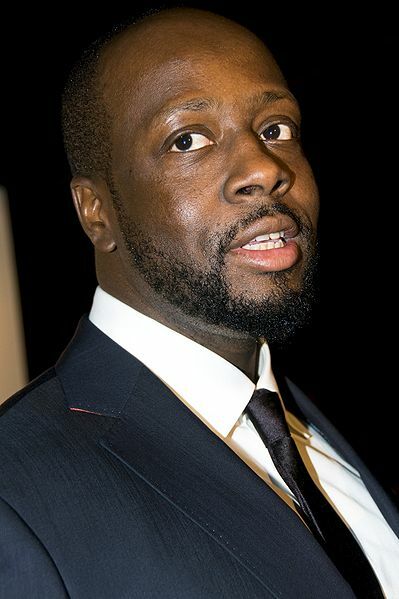 The name in turn can largely be credited to Wyclef Jean, the only member of the group born in Haiti, and a man who recently tried to run for election as President of Haiti until being ruled ineligible due to not meeting residency requirements. Coincidentally at that time my knowledge of world events grew as a college student and consumer of hip-hop music from beyond North America. It seems that ever since the 90's there hasn't been a year to go by without a war in some African, European or Asian country which has displaced anywhere from tens of thousands to millions of people. As I read the depressing news this summer about the refugees from wars in places like Iraq and Syria, it occurred to me that from U.S. eyes a "refugee" is something that happens in a war-torn country far away - thousands of miles and vast oceans away from where most of us live. Remember that in our opening paragraph it was said that a "refugee" is someone fleeing a war. Does a "war" need to be between different ethnic or religious groups? What if the "war" in question is simply gangs, cartels, political groups or criminal enterprises who through superior firepower have caused local communities to flee their homes? To me this sounds like the very thing so many Haitians have fled from over the years. No single "war" created Haitian refugees - year after year of oppression and murder by successive governments and the turmoil caused by the continual overthrow of one government after another created refugees. The country itself seems to be at "war" with its own people. Sadly even nature conspired in this war after a devastating earthquake in 2010 left hundreds of thousands of people dead and far more homeless. If you're from the American South though, you're probably well aware of something that doesn't get called a "refugee crisis" even though I would argue that it is. South of the Rio Grande stretching all the way to South America is a swath of countries that often seem to be at war with their own citizens, though to simplify the point of the editorial let's focus on Mexico. The stereotypes of and indignities toward "illegal immigrants" are too numerous to mention here, along with the number of words far less flattering than "fugee" that are used to describe them. Even normally opposed political ideologies seem to agree that undocumented aliens (one of the slightly more polite term) are a threat to national security, or looking for a "free ride" on the U.S. dole, or represent an outright invasion of a sovereign nation. Meanwhile across the globe in the Middle East, countries neighboring Iraq and Syria continue to harbor refugees from those war-torn states. We sympathize with the plight of ethnic and religious minorities as they flee from what's portrayed as an unspeakable horror trying to impose genocide on them through military and political might. (Why the world didn't react the same way to Rwandan genocide in the 1990's is a topic for another day.) The news shows us ethnic Kurds fleeing across borders into Turkey to avoid being slaughtered simply for being different from the people set to conquer their land in an effort to make a nation state all their own, ruled by violence fear and intimidation. Violence, fear and intimidation. If that doesn't describe what goes on daily, monthly and yearly in Mexico as cartels of the drug trade compete for power I don't know what does. Let's boil it down to the basics - if you were living somewhere that you had little economic opportunity for you or your family to begin with, and then had to fear the violence of gangs that leave heads on pikes and hang bodies from bridges to cause intimidation, wouldn't you flee for anywhere safer to be? What incentive would you have to stay? The prospect of crossing the border North legally or otherwise seems awfully tempting. The difference between a "refugee" and an "illegal alien" is not so large as we'd like to think. One is fleeing a genocidal war, one is fleeing a country that seems like a war zone, as cartels battle for power and kill the reporters with the cajones to report on them. It may be an undeclared war - but then again thanks to the "War on Drugs" in the U.S. it may not be. Every attempt to suppress recreational drugs has only made the illegal narcotics trade more profitable and the competition to control it more violent. Perhaps now at last the time has come to recognize that in states like Texas, New Mexico and Arizona that the demonization of immigration is a fundamentally flawed form of thinking. Mexico may not be in a state of civil war, nor is there a specific genocide taking place, but given the choice between living in fear or heading any place better the difference between fleeing from violence in Iraq or Mexico is a distinction that doesn't need to exist. It's time for a more humane approach to the so-called "border problem" that might start with recognizing that refugees exist anywhere that violence exists, and that the U.S. has a deeply seated insecurity about acknowledging a problem South of the border that our appetite for illegal drugs helped create. In the minds of most citizens it's easier to sympathize with a refugee overseas than the ones on our own doorstep.